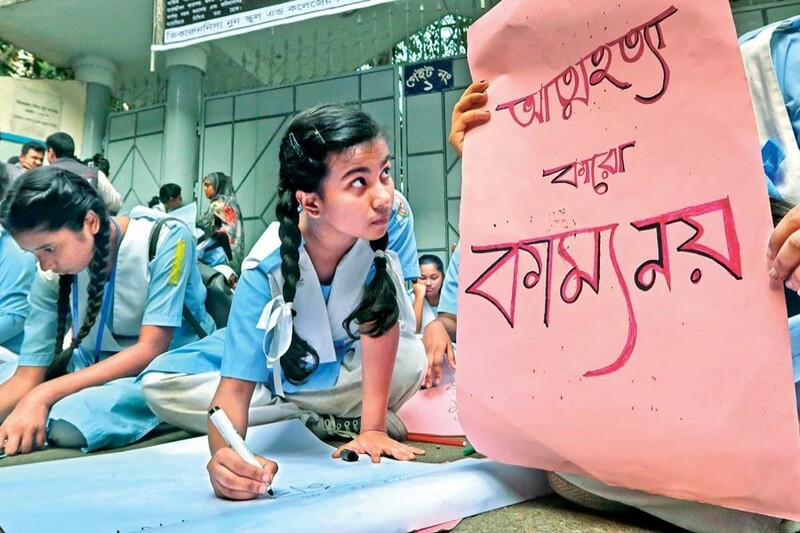 Students from Viqarunnissa Noon School and College called off their protests over the death of Aritry Adhikary after receiving assurances from teachers that their demands would be met, reports bdnews24.com. The students called off the protest at 5.00pm on Thursday and said they would return to classes and sit for their examinations. Anushka Roy, a spokesperson for the protesters, called on all students to return to class from Friday. Viqarunnissa Noon School and College Governing Body President Golam Ashraf Talukdar begs for forgiveness over the death of student Aritry Adhikary in front of the media on Thursday. He agreed to resign if it would serve the greater interest of the school. Meanwhile, a Dhaka court has sent Viqarunnissa Noon School and College teacher Hasna Hena to jail over the death of student Aritry Adhikary. Hena was a class teacher to Aritry. She was named alongside Principal Nazneen Ferdous and Morning Shift In-Charge Zinat Akhtar in the case filed over Aritry's death. She was brought to court on Thursday and Detective Branch Inspector Kamrul Hossain Talukdar petitioned for her to be sent to jail.